Head out for a day walk on the Bingi Dreaming track, a coastal walk that traces the ancient Song Lines of the Yuin Aboriginal people. Enjoy stunning views as you walk. 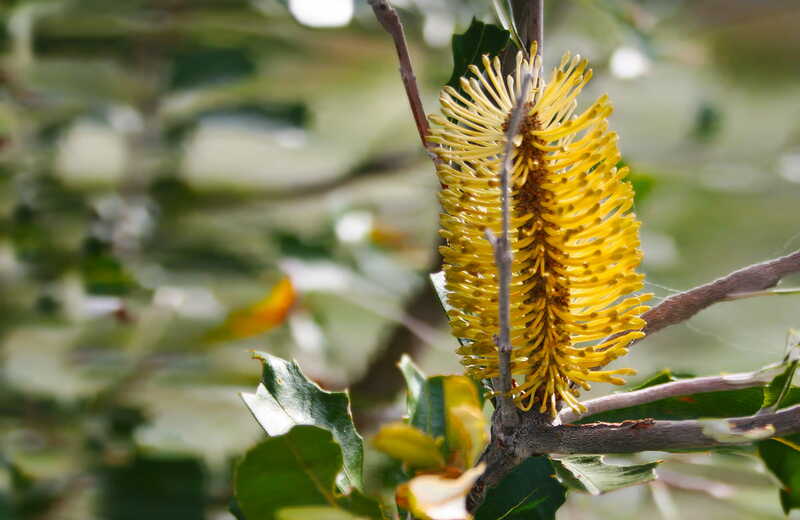 Follow in the footsteps of the Brinja-Yuin people as you walk the Bingi Dreaming track. 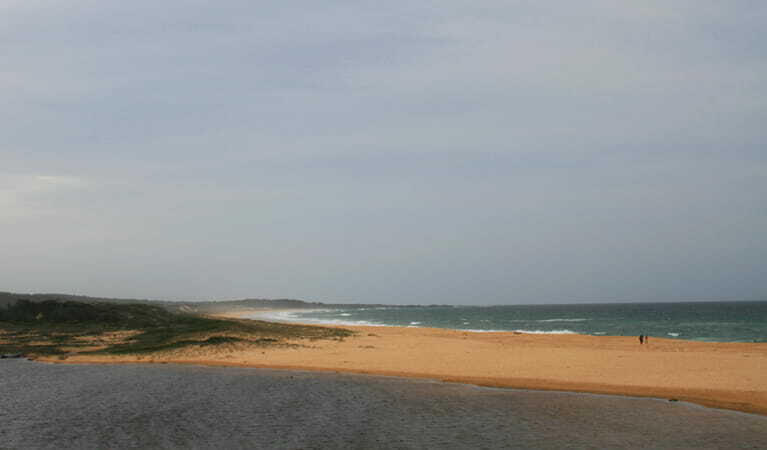 Traditionally, Dreaming tracks or Song Lines link the places visited by Aboriginal people, the Bingi Dreaming track links campsites, ceremonial and trade sites, fresh water and plentiful coastal food sources. Along the way, you might see stone artefacts or patches of shell middens. 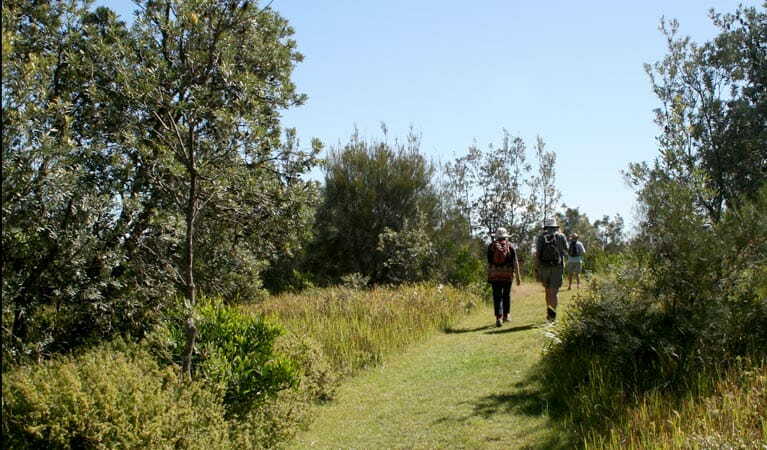 The walk passes through different types of coastal habitat; there are great opportunities for birdwatching among the heathlands, forests and lakeshores and you’re likely to see kangaroos and wallabies relaxing in the sun. 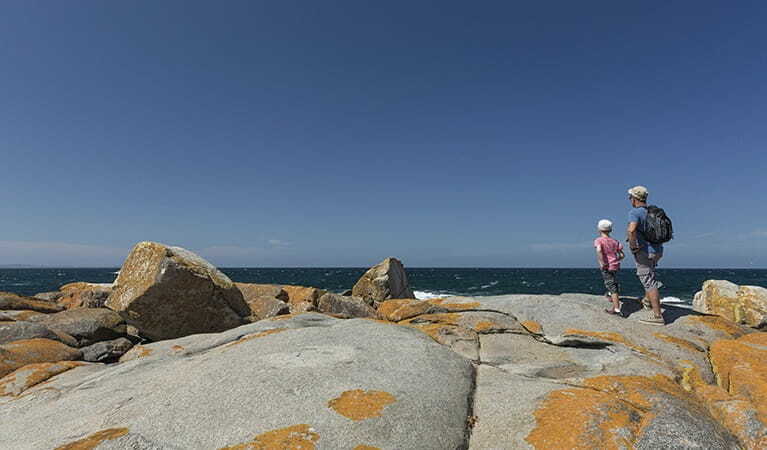 If you’re walking during whale watching season, be sure to stop off at one of the vantage points along the way for a glimpse of the majestic creatures, as well as panoramic views of Gulaga (Mount Dromedary) and Baranguba (Montague Island). Stretching from Congo in the north to Tuross Head in the south, you can start the 14km walk from either end, or break it up into a few shorter walks to enjoy over a couple of days. There are lots of places to stop for a swim or picnic along the way so don’t forget to take your swimmers and a towel. Monday to Friday, 10am to 2pm. Closed public holidays. 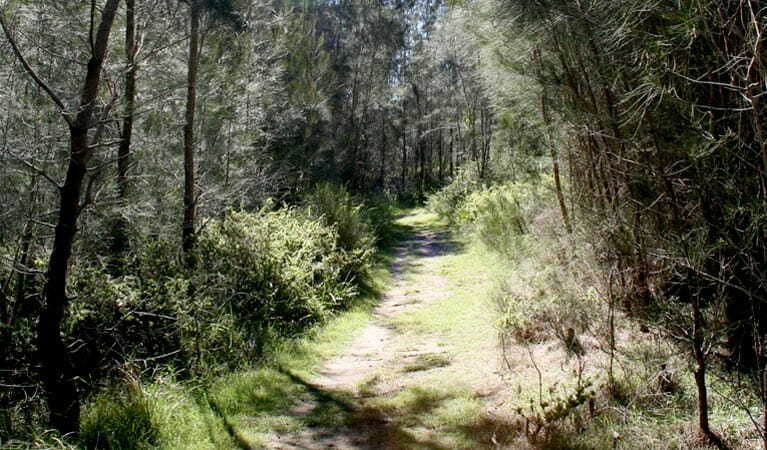 Eurobodalla National Park is always open but may have to close at times due to poor weather or fire danger. Contact hours: Monday to Friday, 10am to 2pm. Closed public holidays.